The Ariel, Jasmine and Rapunzel princesses are very happy, were chosen for their talent to audition at the Battle of hip hop event held each year, which is very fashionable. At the event, attended by the most important celebrities of this genre. You were selected to help with the makeover princesses, remember that they always wear cute dresses. 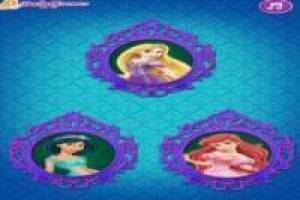 Select tops, pants, low or high, hairstyle boots and change the setting for the show of these three princesses. Give him a hand to go incredible, captivate the judges with their image and talent. Enjoy the game Battle hip hop Disney princesses, it's free, it's one of our disney princesses games we've selected.